Relationships between bosses and subordinates have existed since the dawn of humankind. But despite the millennia we’ve spent as a species handling these relationships, we're still unequipped to deal with the tension they foster in today's office environment. So, what can handle it? The answer is lots and lots of practice, patience and learning. Given the complexity of the modern workplace, the world of work is the perfect backdrop for improving these increasingly important relationships. That doesn’t mean that repairing one that's gone off the rails should be difficult. In fact, if you’re a worker with a terrible boss, there are strategies you can use to regain favor in the eyes of your manager without sacrificing your own importance and sense of self-worth. Although some view inspiration as a manager's responsibility, employees have equal power to inspire their managers. Some of the greatest coaches of all time have been inspired by the athletes they train. Becoming the worker who inspires your boss to either believe in you or in himself (or herself) can have an enduring and positive impact on the morale of the entire team. But setting the stage for this to happen will involve all the efficiency a team can muster. The point is, work needn't be an awful and dreaded nightmare. You can enjoy your job while being productive, but oftentimes that difficult boss of yours would rather see results than enjoyment. He or she fails to understand that intrinsic enjoyment can Iead to better on-the-job performance. And enjoyment is an important consideration: While not all of us are passionate about what we do, there are ways we can improve our job satisfaction without bending over backward. The first step? Eliminate demeaning processes -- ones typified by busywork and needless exertion. Relying on outdated, manual processes and failing to take a business (or role) digital can contribute to that common phenomenon where office workers feel like Sisyphus pushing the proverbial boulder up the hill. Having companies, offices and even departments learn new technologies is a move that not only improves efficiency, but improves workers’ sense of self-efficacy, too --something researchers are discovering increases on-the-job happiness. When you eliminate from your routine meaningless mis-filing, document searches and document losses, plus other negative aspects of a paper-heavy workplace (faxing, printing, storing, and so on), you begin to remember why you entered your selected line of work in the first place. Healthcare workers, for example, increasingly cite the bureaucratization of their profession (and its paperwork) as one of its pitfalls, preventing them from exercising their skill set as medical practitioners. But here's the good news: Just as we can think our way into action, we can act our way into thinking. Working hard for a cause -- learning something new that your boss cares about, for example -- is one strategy. It can help you stand out and feel more satisfaction on the job, even if your new skill isn’t necessarily personally important. What's more, those new skills and tasks you mastered out of altruism may later be imperative for meeting the company’s future needs. In fact, learning something new on your job not only makes you a more effective worker, but also makes you happier. When bosses and their subordinates are both happy, conflicts are easier to resolve and solutions to problems easier to find. Blame-shifting is common in some companies, but it can be detrimental to more than just the team involved; it’s an easy way to reduce individuals’ sense of self-worth while simultaneously raising anxiety. Research shows that blamers lose a lot more than the blame they’re trying to misplace: they can lose their status as valuable coworkers. They can also lose the respect of their managers, and any positive vibes they may have worked hard to foster prior to the blame-shifting incident. The more that co-workers attempt to assign blame to others, the less teamwork and positive morale there’ll be. Under these conditions, an already struggling boss’s demeanor will worsen. There are many methods for businesses, and their workers, to increase accountability. Having clear-set roles and responsibilities can help reduce ambiguity and confusion around who is doing what. Fostering a sense of ownership for results can motivate workers to perform better. Once those workers realize how much of an impact they themselves can have on a task or project, they'll feel more accountable for anything that happens, positive or negative. I concur. But I can also imagine all those workers and managers who have long believed in the power of stress (as a productivity booster) listening to Kjerulf and turning in their graves, because it was that "stress is good" mentality that put them there in the first place. What do these industries have in common? They're all struggling to shed legacy technology systems for lighter, more agile information management solutions. Solutions like document management system software (or DMS, which tracks, manages and stores information, eliminating paper) can eliminate this issue. So, whether you're an accountant increasing billable hours, or a construction worker winning new building contracts, or a rental agent finding new tenants for your properties, a DMS produces greater productivity -- which is an excellent way to make that difficult boss like you. It's become a cliché, but the customer is always right. Today, these people can demand more than ever and have a greater range of options for “taking their business elsewhere.” Whom does the customer sound like in the above example? You guessed it: the boss. Like the customer, the boss is also always right, and can seek an alternative to you at any time. A typical B2C context is is about being able to access what customers need, and to listen carefully to them -- and this applies equally to your boss. But, just as happens with any seemingly insurmountable task, chipping away at the goal of making your boss like you, piece by piece, using the above strategies. can have results. 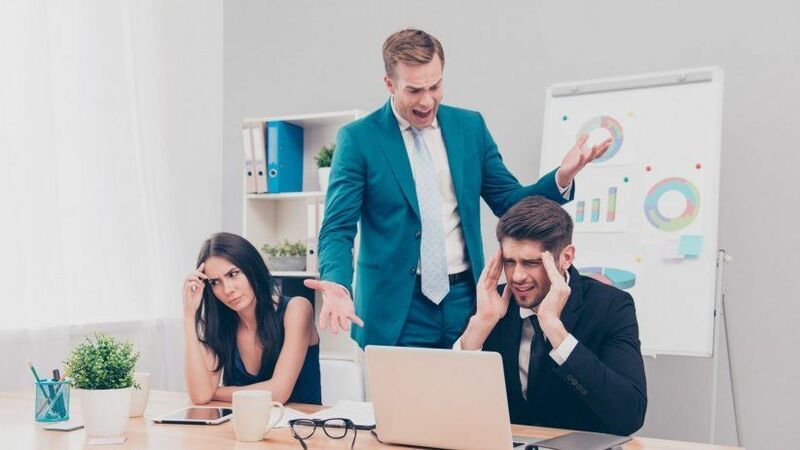 In the case of a difficult boss, that chipping may well ease tensions and completely change the dynamic of your workplace culture for the better. And, we all want that, right?